A projected 10 billion more devices will be connecting to the Internet in the next four years. The business potential behind that number is huge, but so are the challenges the IoT ecosystem faces — from lack of a shared architecture for interconnection to the continued problem of how to authenticate devices on the network. But as customers connect more devices and expect less friction and more continuity across them, blockchain technology seems to hold the potential to unlock new business model use cases — and ROI from them. 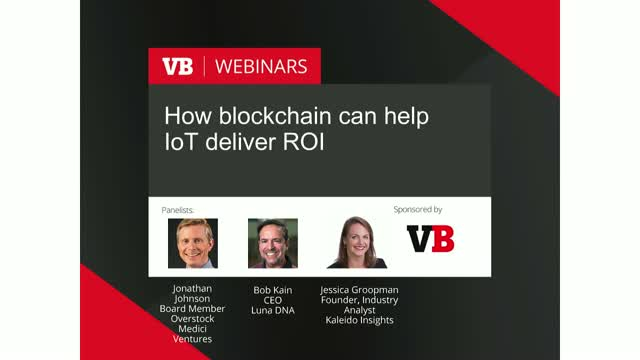 Join the latest VB Live event to learn more about intersections between IoT and distributed ledger technologies and explore how they can unlock the security required to realize a profitable Future of Things. *What distributed ledger technologies such as blockchain mean for businesses in 2018?